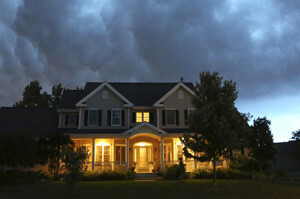 Do you think there’s a chance your home has been damaged by a storm? When a severe storm comes through your area the time to act is now because you have a limited window of time to resolve damages with your insurance company before the burden of the cost will completely fall on your shoulders. Naperville Exterior is a local roofing company with a strong reputation in the community of the Chicagoland’s Western Suburbs. Make sure to contact us and you’ll be working with a trusted roofing contractor. When storms come through many companies will show up on your door that aren’t from this area and they will try to push you into making a decision to use them as a roofer right away. The problem is that once they’re done with the job, they’re not just done with the job– they’re gone too. Hire a GAF Certified, local roofer that resides in your community. We will be here for you when you need us. Naperville Exterior is a roofing contractor that works with many of the largest insurance companies upon request when a storms catches us all by surprise.